This entry was posted in Dance Outs on June 24, 2017 by Nigel Northcott. Prince of Wales Shippon June 17! Didn’t feel like June! 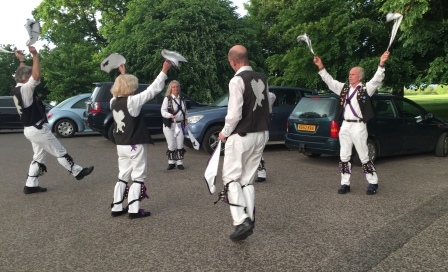 Banbury Bill – or Banbury Billy no mates – dancing out on our own! Shepherd’s Hey for the two desperately keen punters! 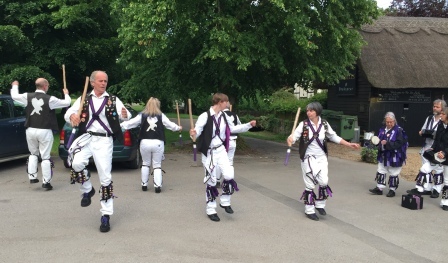 A quick Postman’s knock while no one’s looking in case! 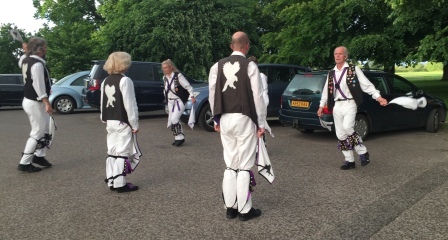 – well there’s a phrase ‘in case’ – we make a mistake! Charlotte got her wish!! 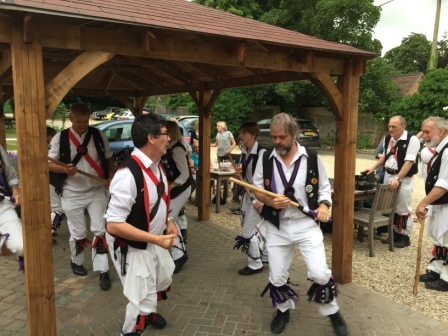 This entry was posted in Dance Outs on June 16, 2017 by Nigel Northcott. 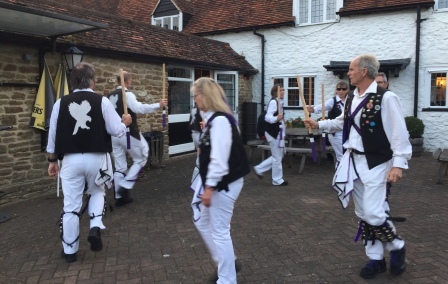 6 Bells Warborough – nearly a sunny evening! 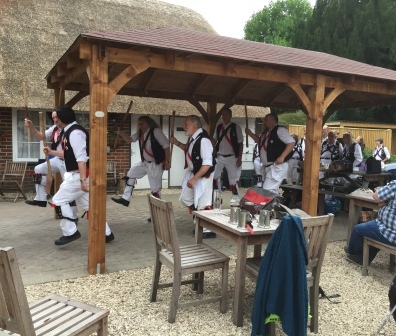 Dance out the Old Speckled Hen – with their two new chicks! Note the chap sitting on the far right – William Kimber! 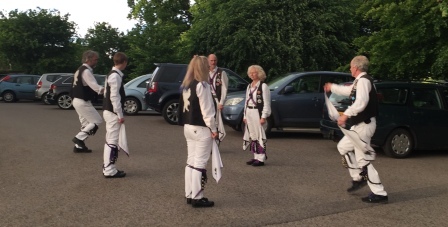 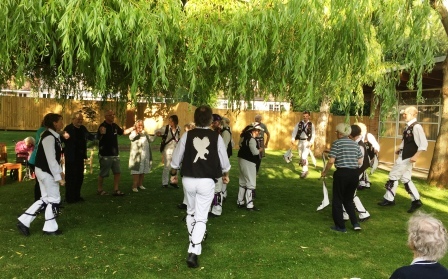 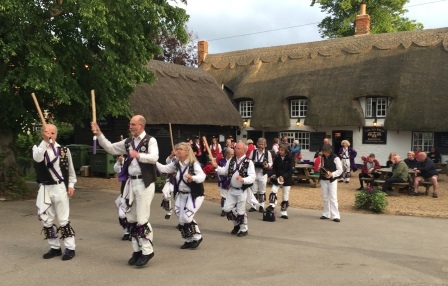 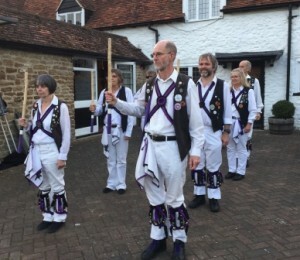 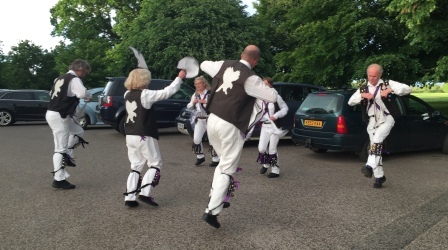 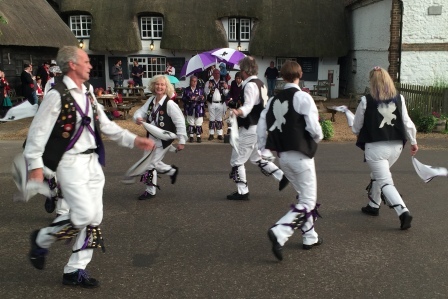 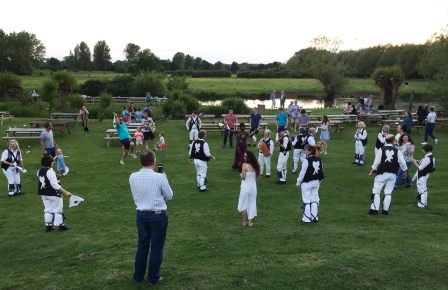 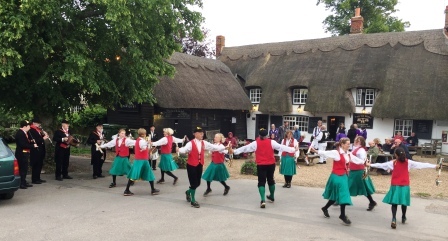 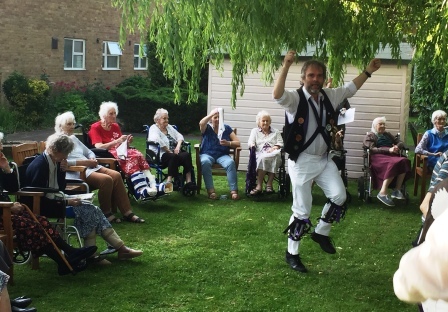 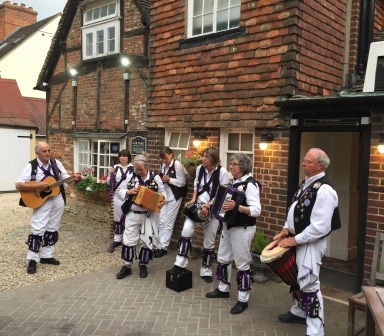 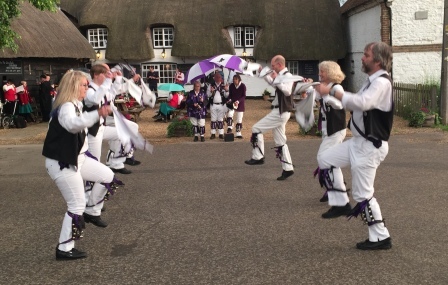 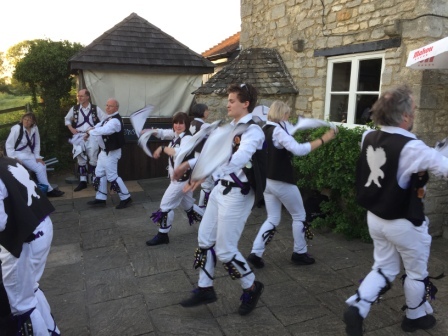 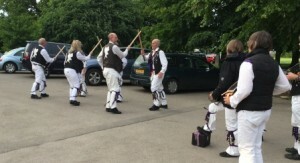 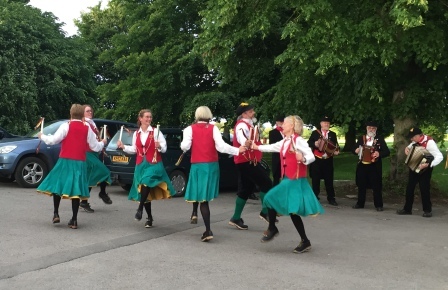 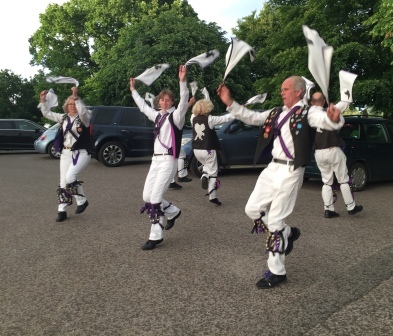 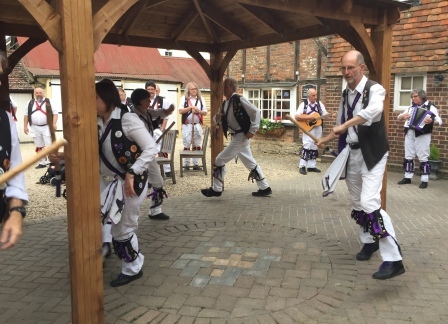 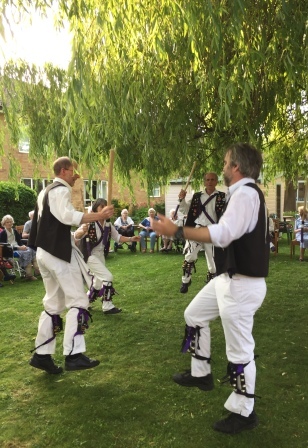 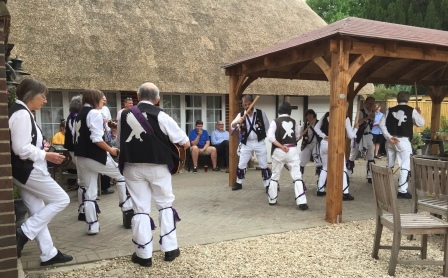 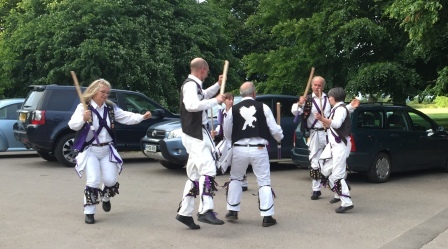 What a coincidence – he is the grandson of the very William Kimber whose other relative we danced for last week and of course who did so much to revive the Morris! 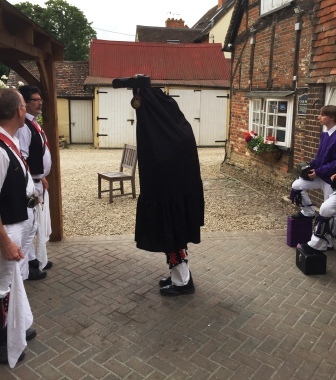 His dad is William Kimber and he has a son – guess his name! Mick proves to be a dab hand at brolly holding! 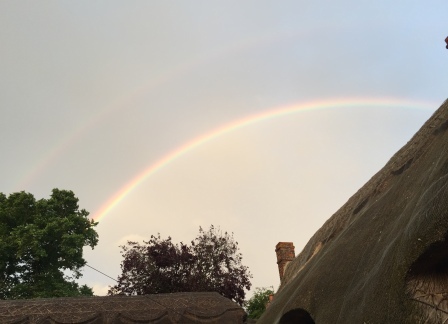 What a glorious rainbow! or two! 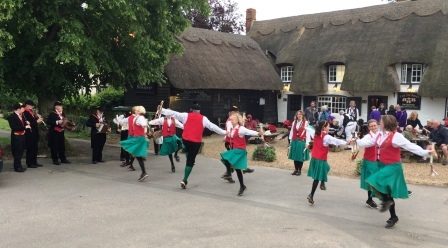 This entry was posted in Dance Outs on June 9, 2017 by Nigel Northcott. 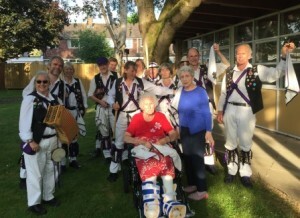 A glorious evening – starting with entertaining the folks at Marston Court Residential home – including William Kimber’s granddaughter. 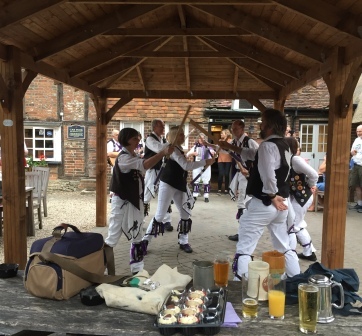 Kimber was an English Anglo concertina player and Morris dancer who played a key role in the twentieth century revival of Morris Dancing. He was famous both for his concertina playing and for his fine, upright dancing, such that in his day he was presented in the highest circles of society. 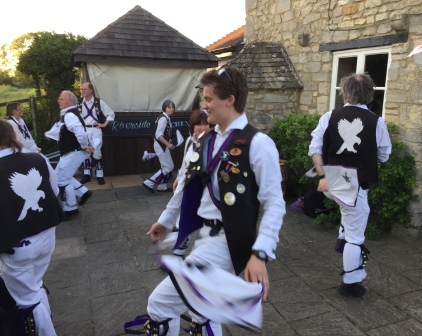 He was born at Headington Quarry, Oxford, and had left school at the age of nine to work as a bird-scarer before taking up the trade of a bricklayer. 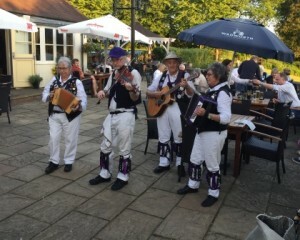 However Kimber also played the concertina for his local Morris Dancers, the Headington Quarry Morris Men, and he was the musician when they were encountered by Cecil Sharp in 1899. Sharp, who was to be in the forefront of the revival of English folk music and dancing, noted down his first Morris tunes from Kimber’s playing. 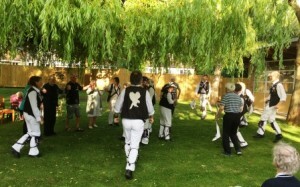 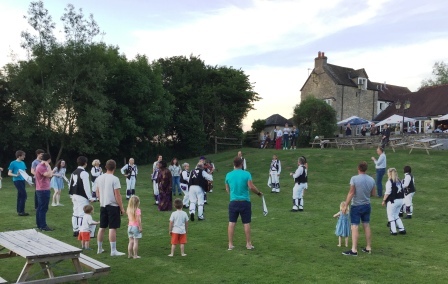 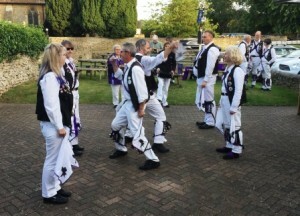 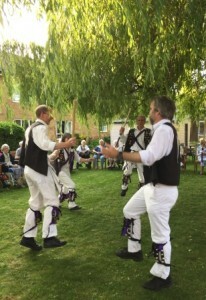 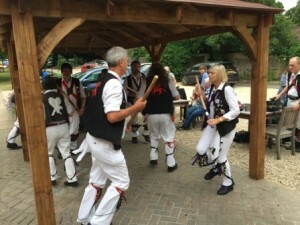 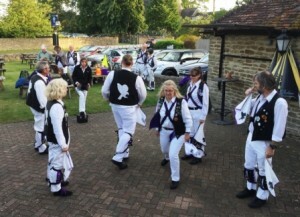 Subsequently Kimber acted as Sharp’s informant on the Headington Quarry Morris tradition, and as his assistant at lectures — Sharp would lecture on them while Kimber demonstrated the dances and played the concertina. 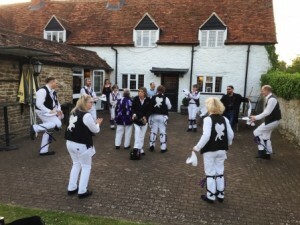 Kimber’s fame grew, and he danced at the Royal Albert Hall, the Mansion House, and in front of King Edward VII and Queen Alexandra at Chelsea Hospital. He’d have made a fine Havoc! Scones and cream to follow! This entry was posted in Dance Outs on June 2, 2017 by Nigel Northcott.